Research at the Brain, Behavior, and Learning (BBL) Lab is at the intersection of neuroscience, cognitive psychology, and education. The lab is headed by Jérôme Prado and Marie-Line Gardes. We use brain imaging to explore the cognitive and neural mechanisms underlying functions that are fundamental to human learning and development, such as reasoning and numerical cognition. Our goal is to explore how this knowledge can help us understand learning disabilities and inform educational practices. 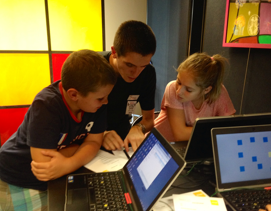 The BBL Lab is located in Lyon, France. We are part of the Marc Jeannerod Institute of Cognitive Science, which is affiliated with the French National Center for Scientific Research (CNRS) and the University of Lyon. 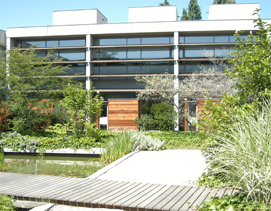 Our lab is located at the Marc Jeannerod Institute of Cognitive Science in Lyon (UMR 5304), France. 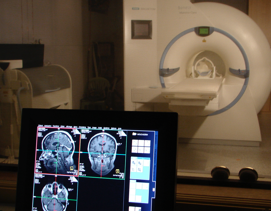 We use MRI (magnetic resonance imaging) to examine brain structure and function. MRI is safe and widely used in both research and clinical settings. Our research is funded by several French, European, and international organizations. Schwartz, F., Epinat-Duclos, J., Noveck, I.A. & Prado, J.
Mathieu, R., Epinat-Duclos, J., Léone, J., Fayol, M., Thevenot, C., & Prado, J.
Mathieu, R., Epinat-Duclos, J., Sigovan, M., Breton, A., Cheylus, A., Fayol, M., Thevenot, C., & Prado, J.